The following is a sponsored post for Cars.com. Are you in the market for a new car? Have you looked lately? 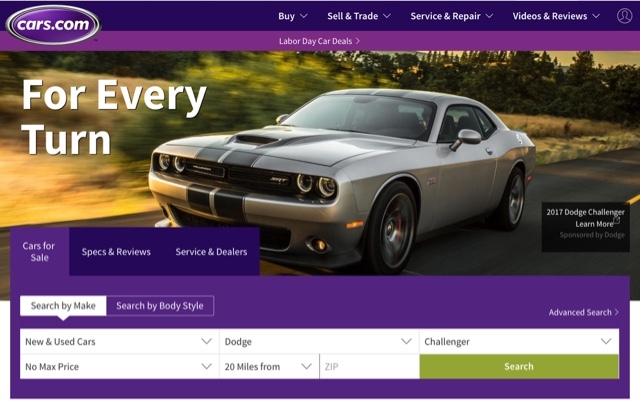 Your car shopping can get a makeover with https://www.cars.com/. You can search for just the vehicle you want, a specified price range, even location. There is much more to search, too, and not just for car buyers. Do you have a car to sell? Look for yourself! 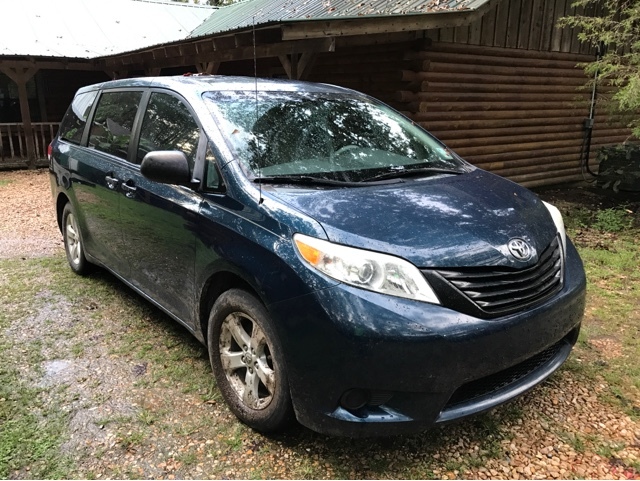 Our Toyota van is now paid off! Sorry about the muddy tires. We are in the outer bands of Hurricane Harvey, and things around here are incredibly muddy. When we first got it, I called it the "granny van" because that was how I felt driving it back then. It was just what we needed with room enough for our family of five plus Granny and Powpow. We weren't planning on a new vehicle when my previous car was hit then totaled; these things aren't always planned because of convenience. We waited about three months before we found just the van we wanted. Our credit union and salesman worked together, and we ended up driving all the way across the state to pick it up. I have no doubt that process could be simplified now with cars.com. The very first car I bought myself was a convertible. It was gorgeous! White outside, red trim, and it had both a soft top and a hard top. But when I was expecting my first child, a coworker challenged me to try to put a baby carrier in my pretty little dreamy two door. Goodbye Mustang, hello SUV. We traded the Ford in and got a family friendly Trailblazer. We have had a lot of different vehicles through the years. But right now, if I were to get a new vehicle, I think I would buy something smaller. Much smaller. One of my son's dream cars just happened to be the one pictured when I opened the https://www.cars.com/ website! What is your dream car? My oldest daughter has a rare vintage one in mind. I'm still hoping for practicality-- low gas mileage, but I would still want it to be navy blue. I have considered returning to home health, and for a job like that I don't need a big van. I have another senior this year, too, and she is already talking to me about her commute to college. There are many things and people to consider when making a big decision like this! Disclosure: This is a sponsored post. All opinions shared are 100% my own.